A title search is the resulting report o f data research on a piece of real estate. A real estate researcher, sometimes called an abstractor or title examiner, will research the records on a property, such as transfers, liens, judgments, and other recorded data. The results are compiled into a document called a title search. This report can be used to understand the status of the property, such as if there are liens against the property, or ownership status. Some typical uses of a title search are as follows. First, many of our clients are real estate buyers, who need to understand the ownership of a property before the property can be conveyed or sold. When a property is clear of all liens, mortgages, or other financial issues, etc., then the property is said to have a “clean” title. Other clients, such as investors, may buy properties through foreclosure, or at auction. 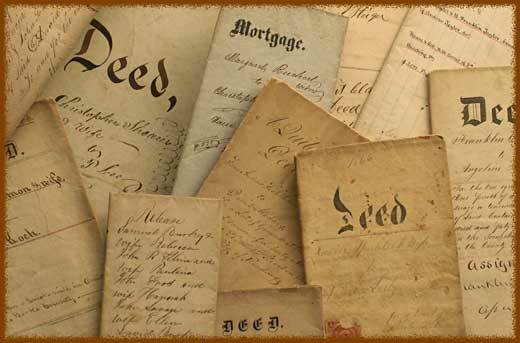 These potential buyers wish to determine the status of any liens that may be on the property. Sometimes, knowing the amount of mortgages on a property, or if there are financial problems can help with the negotiations. In addition, some of our clients need a title search as part of a family event, such as death for estate administration. Many homeowners check their own homes title status, sometimes regularly to make sure no liens are attached to their property.